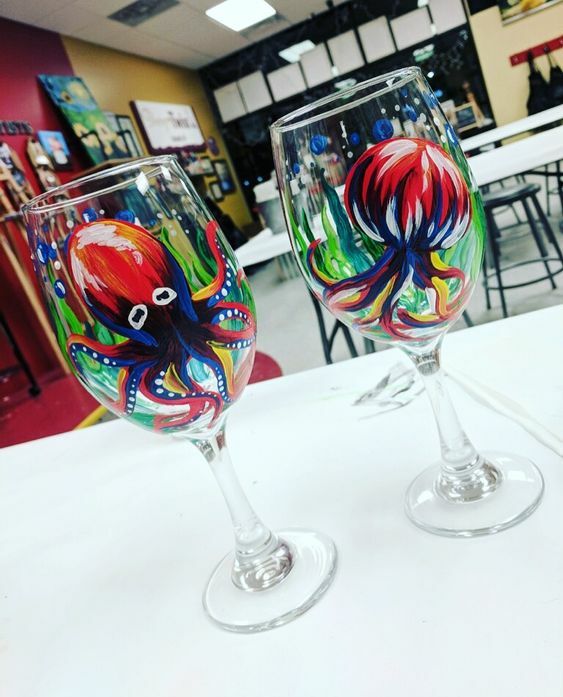 Whether you're just dating, in a relationship, or married, it's not always easy to come up with a unique Valentine’s Day idea, but we've got one for you: bring a bottle of wine and your favorite snacks, and join one of our paint and sip classes! During the class, you should "accidentally" paint on the back of your honey's hand and see how he/she reacts! 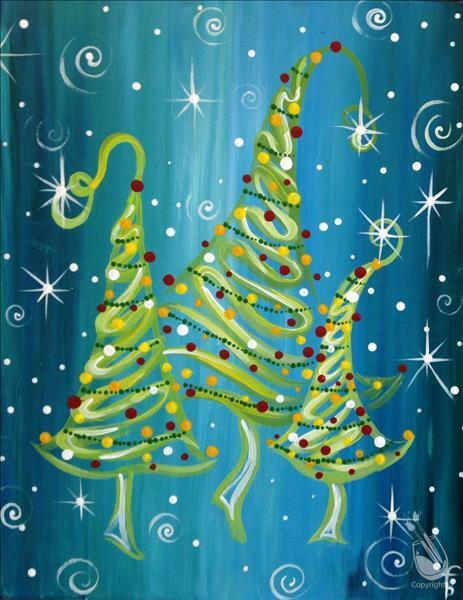 We have several couples paintings in February, but you can turn any of our classes into a fun date night. Be sure to RSVP for your paintings today because we tend to sell out around Valentine’s Day! Make a New Year's Resolution to do something FUN for yourself at least once a week! That'll give you 52 opportunities to try something new, laugh, smile, and spend more time with friends and family. 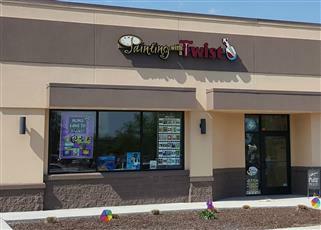 This is what Painting with a Twist is all about. If you've been meaning to try it, make that resolution a reality right now— click to our Calendar page, find a painting you like, and feel free to bring snacks and beverages. When your kids are on school holiday break and either hasn’t opened gifts yet or are already bored playing with them, they need something else to do… something entirely new and different! 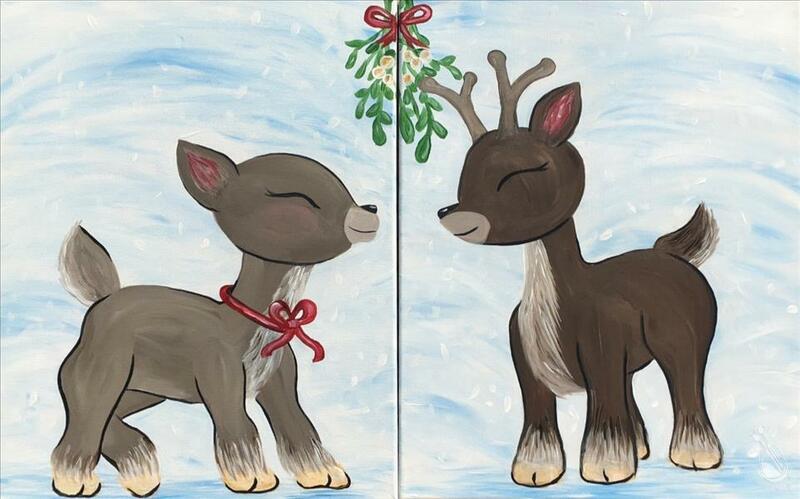 Our holiday break painting classes are the perfect solution to keep your kids entertained. Your children will get to have fun doing something creative outside of school, and we'll clean up the mess for you. Check out our Calendar page for all the options. 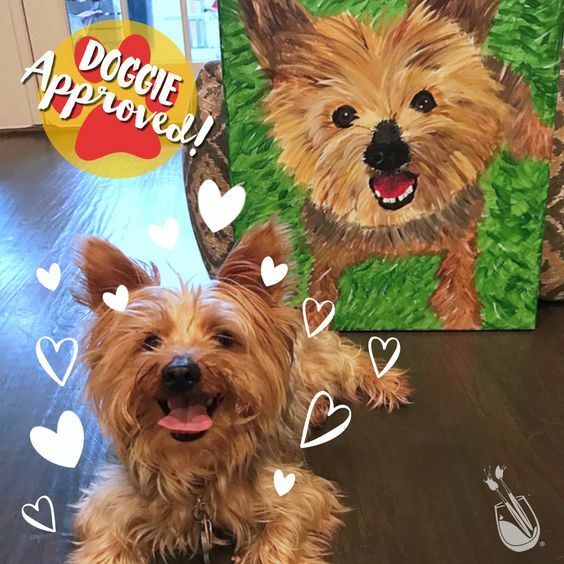 You don't have to be "good at art" to paint a meaningful gift for someone. We'll help you surprise them (and possibly even yourself!) with your hidden creative talents. But, of course, it is always the thought that counts the most about a personalized gift. 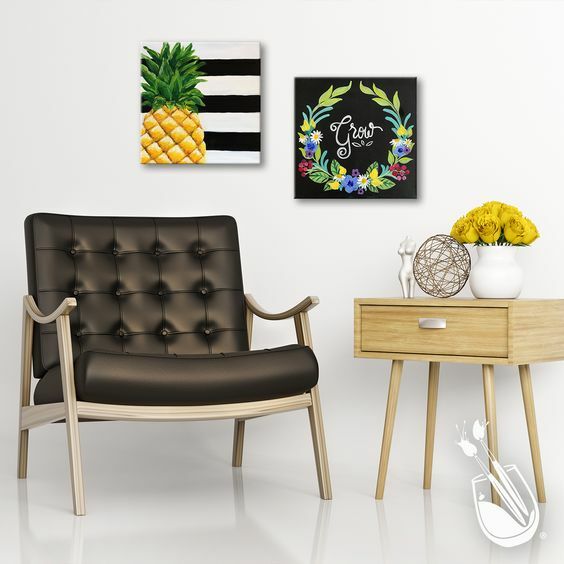 For example, if you know someone who got married, engaged, or had a baby this year; we can help you incorporate their special date and/or monogram into your painting. 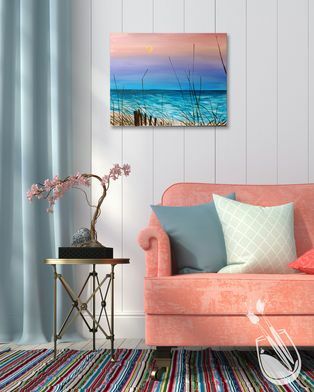 If their favorite color is blue, we can help you incorporate that color in place of another color in a painting that maybe didn't even have blue in it. Just ask, and we'll help you paint a beautiful, personalized gift! Want to do something different for your holiday party this year? Looking for a fun venue large enough to hold everyone? 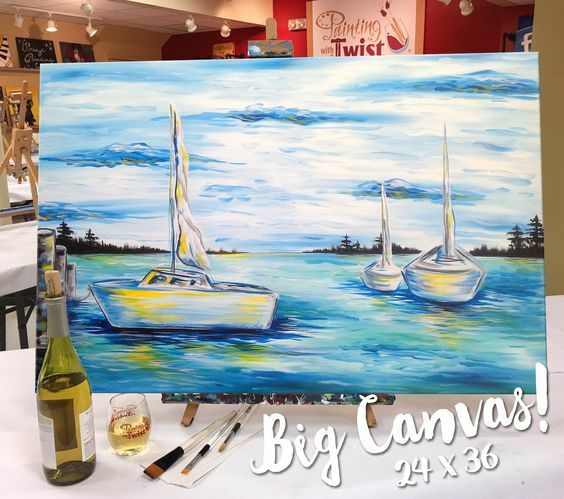 Book a painting party with us! You can pick the painting, and we'll provide all the art supplies and instructions. You're welcome to bring as much eggnog and Christmas cookies as you want! And unlike a regular holiday dinner party, everyone will leave with their own keepsake (their painting!) 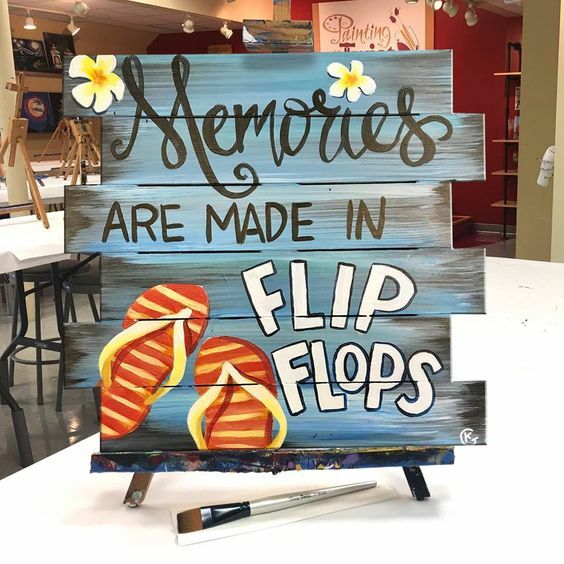 to remember what a fun time they had. 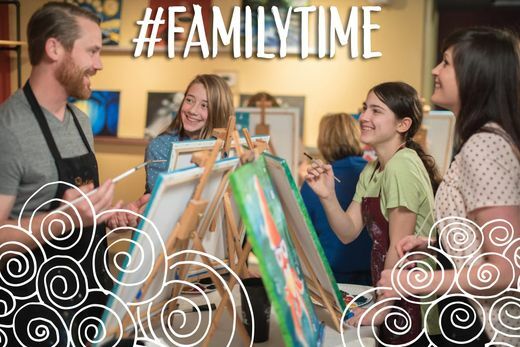 Check out all the benefits of our private parties on our "Party Info" page, or book multiple seats in one of our public classes on our Calendar page. Our Calendar page is brimming with holiday favorites! 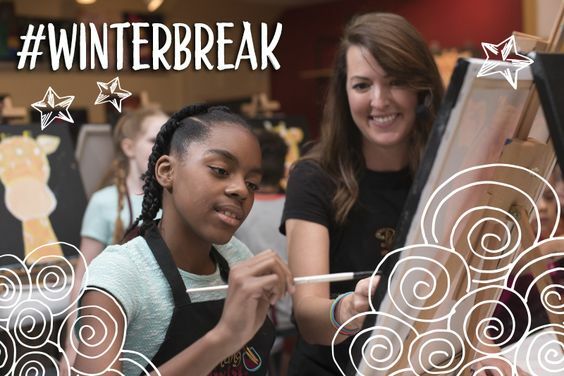 Get into the spirit by inviting your friends to bring mulled wine, eggnog, or cookies to enjoy while painting your own art. 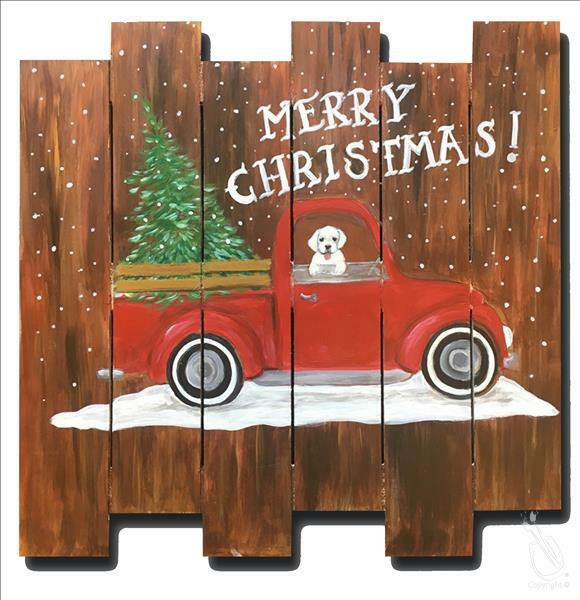 You can keep your painting and use it to deck your halls, or turn it into a unique gift! Just don't wait to RSVP because our classes tend to sell out more between now and January. If you work in an office where no one wants to have to buy a dress or rent a tux for the company holiday party, then we have a party idea for you! BYO snacks (Christmas cookies?) 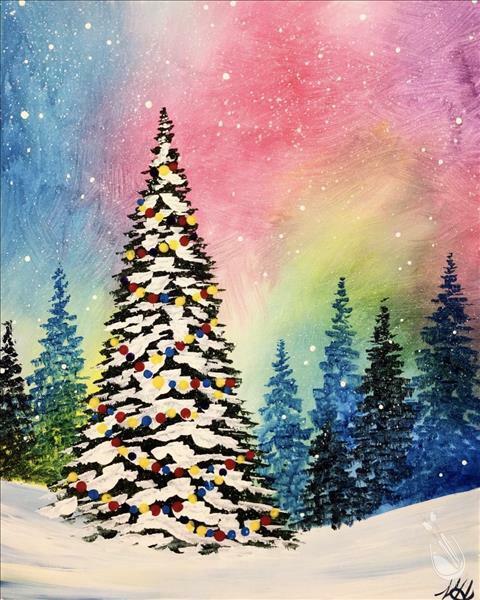 to enjoy while you paint your own holiday art. We'll show everyone how, so no art experience is needed. 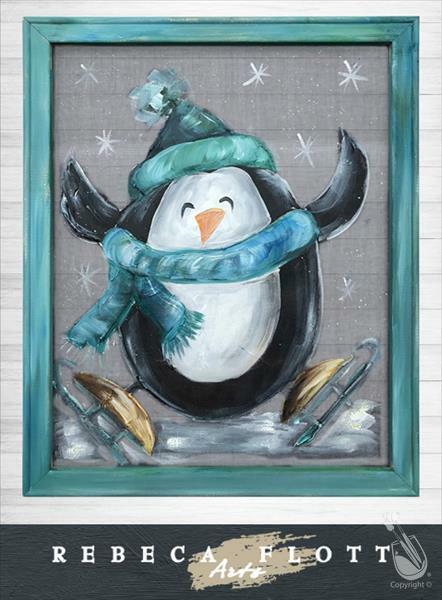 Afterwards, you can use everyone's paintings to literally "deck the halls" at the office. This is the instant cure for office beige syndrome. It will boost morale each time someone walks by and remembers the fun party where you all painted that! The recipe for this fun holiday party is on our "Party Info" page. Be sure to click "Request Party" to reserve your event date soon. Fall is upon us and we are gearing up for some fantastic seasonal art! However, if Fall is not your fav season - please tell us what you want to see on our calendar for the next couple of weeks! Email us at studio233@paintingwithatwist and send us names or images of any PWAT art you see on ANY PWAT calendar! 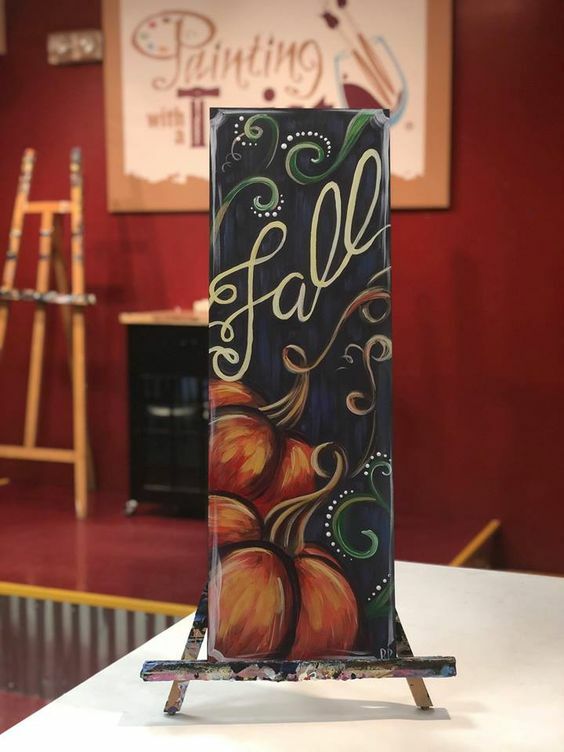 If you enjoy fall and Halloween crafts, you'll love painting your own Autumn art in our studio! 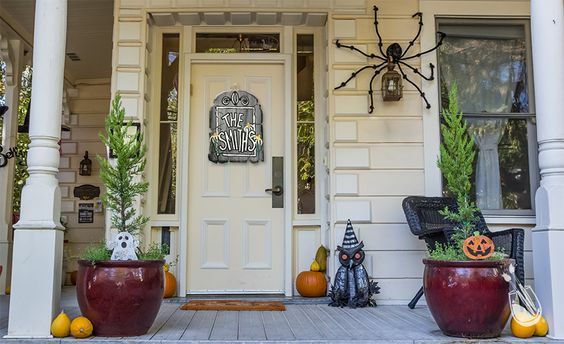 No painting experience is needed to paint your own scenic autumn landscape, pumpkins, or spooky tree. Check out all the possibilities on our Calendar page. Picture perfect end to summer! Summer will be wrapping up soon, so now's the time to gather all your sunburned friends and invite them to a no sunblock, no bugs, air conditioned, end of summer party! We're BYOB— just like a private boat— only the sloshing sounds you'll hear are from paintbrushes swirling in water cups. Check out our Calendar page to see what paintings are coming up soon. 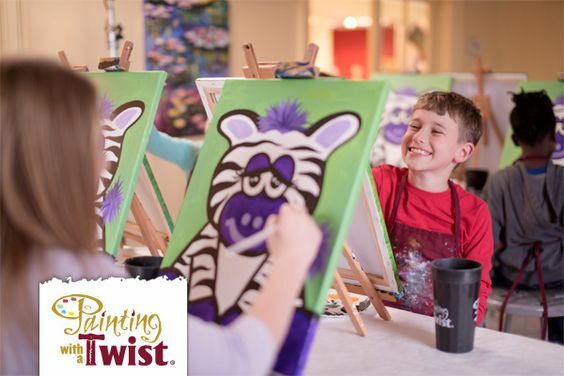 You've asked and we've answered— Painting with a Twist now offers larger canvases to paint! The new size is 24"x36" versus our original 16"x20" canvas. Each of these paintings is a three-hour class for $65 per person. Every month we will be adding more new artwork designed to fit this larger size, so be sure to keep checking once a month. To RSVP for one of these paintings, look on our "Calendar" page for the paintings whose title includes "Large Canvas" and shows the expanded size in the thumbnail image. Check out our NEW Size!